Posted in Latest News on July 25, 2017. CHICAGO – The signing of legislation by North Carolina Gov. Roy Cooper on July 20, 2017, triggered the landmark enactment of the enhanced Nurse Licensure Compact (eNLC), ushering in a new era of nurse licensure in the U.S. The National Council of State Boards of Nursing (NCSBN), the Nurse Licensure Compact Administrators and the incoming group of eNLC Interstate Commission members are extremely pleased with the eNLC legislative progress made in the last 18 months. Allowing nurses to have mobility across state borders, the eNLC increases access to care while maintaining public protection. 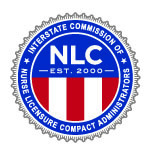 The eNLC, which is an updated version of the original NLC, allows for registered nurses (RNs) and licensed practical/vocational nurses (LPN/VNs) to have one multistate license, with the ability to practice in person or via telehealth in both their home state and other eNLC states. Representatives of the 26 states* that make up this new compact will form the eNLC Interstate Commission. This new Interstate Commission will announce its first meeting in the coming weeks. The Commission’s first priority will be to adopt operational rules and set implementation dates. Once set, dates of implementation will be shared with licensed nurses and the public. Licensing standards are aligned across eNLC states so all applicants for a multistate license are required to meet the same standards, which include federal and state fingerprint-based criminal background checks. The original NLC will remain in effect with Colorado, New Mexico, Rhode Island and Wisconsin as members until each enacts eNLC legislation. In NLC states that have also enacted the eNLC, a nurse that holds a multistate license on the effective date of the eNLC will be grandfathered. However, if the grandfathered nurse wants to practice in a state that did not enact the eNLC, the nurse must apply for single-state licenses in each of those states. In 2018, eNLC states will implement and prepare to issue multistate licenses. 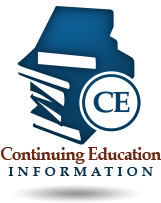 Additional information about the eNLC can be found at www.nursecompact.com. For the latest information, follow the eNLC on Twitter or Facebook. Founded March 15, 1978, as an independent not-for-profit organization, NCSBN was created to lessen the burdens of state governments and bring together BONs to act and counsel together on matters of common interest. 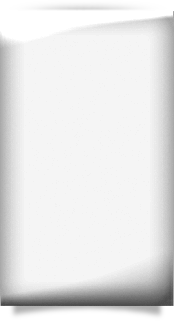 NCSBN’s membership is comprised of the BONs in the 50 states, the District of Columbia, and four U.S. territories – American Samoa, Guam, Northern Mariana Islands and the Virgin Islands. There are also 27 associate members that are either nursing regulatory bodies or empowered regulatory authorities from other countries or territories. Please visit https://www.ncsbn.org/11070.htm to view the NCSBN News Release, and continue to visit our website for updates. *eNLC states include: Arizona, Arkansas, Delaware, Florida, Georgia, Idaho, Iowa, Kentucky, Maine, Maryland, Mississippi, Missouri, Montana, Nebraska, New Hampshire, North Carolina, North Dakota, Oklahoma, South Carolina, South Dakota, Tennessee, Texas, Utah, Virginia, West Virginia and Wyoming.